Can I slow my pets aging process and help them live longer? 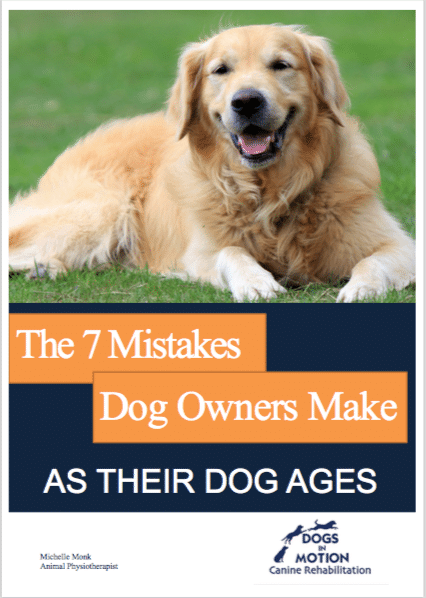 As our pets age, it is common for us to see them slow down, lose muscle and ease of mobility. This can be due to a number of factors, some disease-related and some are just a normal part of aging. Can I slow my pets aging process? Can we keep them moving with greater ease and keep them around longer? Absolutely we can! As our pets age, the loss of lean muscle mass or ‘sarcopenia’ is a natural process. 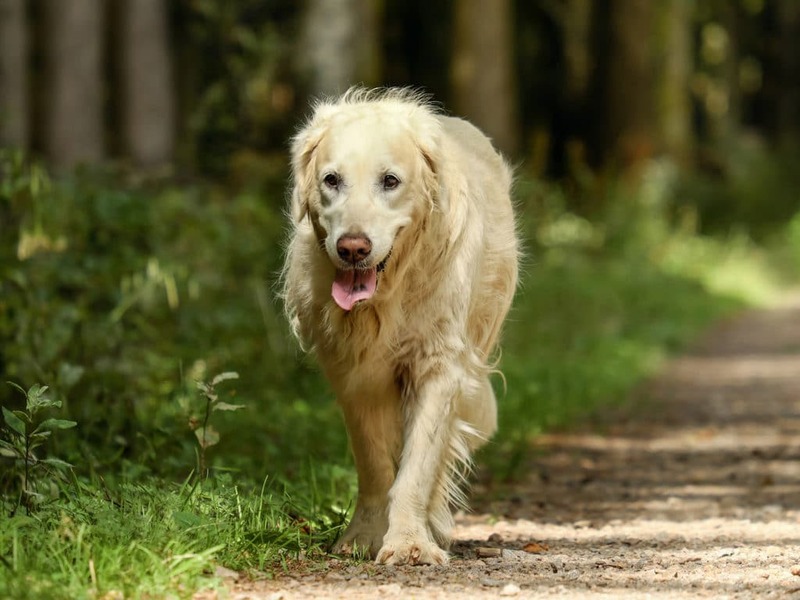 The normal muscle cell turnover and repair process deteriorates with age in both humans and dogs, leading to a loss of strength. A reduction in the number of mitochondria also leads to reduced endurance. This is separate to any other effects from painful joints or lame limbs that can also cause muscle loss. Although these are considered ‘normal’ aspects of aging, they can contribute significantly to deterioration in quality and length of life. Our dogs can struggle to get up and move, or even toilet themselves, which is often a decider for when we have to say goodbye for good. We have been lead to think as dogs get older, they will slow down and lose muscle, have more troubles with mobility, and all we can do is give them some pain relief and perhaps some massage and a warm bed and watch them slowly wither away. This is not the case at all. There is way more you can do. When we look at the human population, we have a recognized syndrome called ‘Sedentary Death Syndrome’. It is the third leading cause of death worldwide in humans after cancer and heart attack. This syndrome is a result of inactivity of older (and now younger and younger) adults. It has also been called the ‘sitting disease’. This inactivity causes a myriad of negative consequences, including rapid decline in muscle loss, multiple chronic diseases and millions of premature deaths. So it’s very true: ’move it or lose it’. Treatment for this syndrome includes individualized exercise prescriptions, that are patient and environmental specific taking into account medical status and exercise tolerance. All skeletal muscles possess the characteristic of plasticity. They can adapt and change throughout their ENTIRE lifespan. Numerous studies in people demonstrate the trainability of skeletal muscle and the strength gains achieved by the elderly. So what about our doggy companions? Why should they be any different? They too can benefit from targeted exercises, designed specifically for them. Exercises that can increase strength, leading to increased ability to walk, climb stairs, get up from the floor, toilet themselves, and get up on the couch for a snuggle! Increased strength can also support arthritic joints and ease of mobility. What exercise should I give my older dog? It can’t be just any old exercise. And walking is not enough. It needs to be targeted, specific to your dog’s individualized needs and where they are in their health and strength journey. A visit to the vet is recommended to get a baseline of your pet’s health before starting a new fitness regime. Just like in us humans. Then your physiotherapist at Dogs In Motion can assess your dog’s muscle strength along with a full musculoskeletal assessment and work out a targeted exercise plan and program for you to complete at home. (We also offer online appointments if you can't make it into the clinic). Within our Melbourne clinic Dogs in Motion also offer hydrotherapy for accelerating strengthening and if there are areas of pain or reduced flexibility then soft tissue mobilization, stretching and laser therapy may be indicated. What are the benefits of getting my older dog moving more? Having a stronger, more flexible, more comfortable body means your dog can move around with greater ease, maintain their independence, leading to improved quality of life and keeping your pooch by your side for longer. Who knows, with an improved exercise regime, you may just be helping yourself in the process! Put your phone down and go and hang out with your dog, go through some exercises with them with some treats for rewards, enjoy the outdoors, stimulate your minds and your bodies. My goal for all my clients and their dogs is to live long happy lives together.